After nine previous tries, the husband of celebrity chef Paula Deen has won the Hemingway Look-Alike Contest held in the city where writer Ernest Hemingway lived and wrote during the 1930s. Michael Groover won the contest held on Saturday at Sloppy Joe's Bar, which is where the author often relaxed with friends. Deen applauded the victory of her 62-year-old husband, who is a harbor pilot from Savannah. 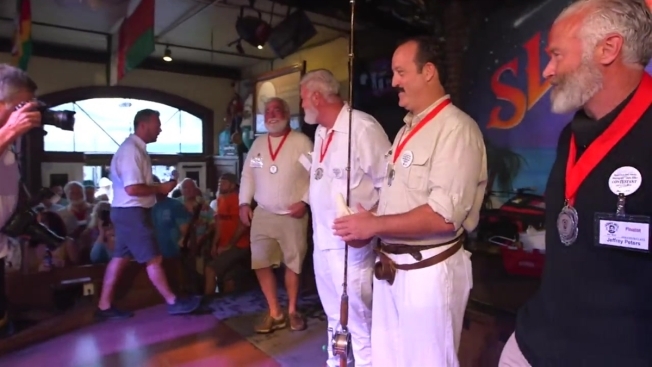 The contest was held on the 119th anniversary of Hemingway's birth and is a highlight of the annual Hemingway Days celebration. Judged by former winners, the contest attracted 151 entrants. Semi-finalists included entrants from Australia, Norway, and Ontario, Canada. Groover said he shares Hemingway's love of fishing and hunting, and has written a book, "My Delicious Life with Paula Deen."